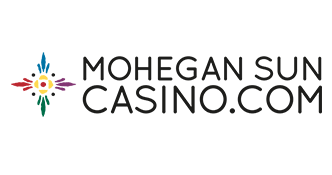 Run by the State of New Jersey, the NJ Lottery Event Source allows residents to play a number of games in order to win prize money. Currently, players can enter the draw games Pick-3, Pick-4, Jersey Cash 5, 5 Card Cash, Pick-6, Fast Play, and Quick Draw. The multi-jurisdictional games Powerball, Cash4Life, and Mega Millions are also options for New Jersey players. In this review, we’re going to show you how you can join in with NJ Lottery games. Is it worth the hype? Let’s find out. In the table below you will see the current games available with the New Jersey Lottery. Jackpot prizes can vary, depending on how many players are participating and what games you play. We’ll take a quick look at the most popular New Jersey Lottery in-house games and the ways to win now. Players can enhance their chance of winning by selecting Fireball or Instant Match. Both of these options require an extra stake. So, what is a Straight? A Wheel? If you’ve never played the New Jersey Lottery before, some of these terms may be new to you. Let’s see what they mean. First up, a Straight. A Straight win is where you match each number exactly how they are drawn out. With a Wheel, you can match the numbers in any order, though this bet type generally requires a higher stake. For a Box win, you can match the numbers in any order. Pair and Split wagers are similar: to win a Pair you need to match the first and second or the second and third numbers. For a Split, you need to match the first and third numbers drawn. Similar to Pick-3, but with this game you need to match four numbers. Bet from 50 cents to $5 on four numbers between 0-9. There are two ways to win, either with a Straight or a Box. A Straight win can payout over $2000. You can also combine Straight and Box bet types to enhance your potential winnings. Jersey Cash 5 works differently. Here, you pick five numbers from 1 to 43. If you match all five, you win the jackpot. The jackpot for this one is a progressive jackpot. In other words, the jackpot prize increases until one player matches all five balls. You can also utilize the Xtra feature here. This means you can win a prize if you match two, three or four numbers. Matching six numbers with Pick-6 could win you a $2 million jackpot. Pick six numbers from 1 to 49 to win. This is also a progressive jackpot, with the top prize increasing in $200,000 increments until a winner has been made. The Xtra function is also available with this game. Match two, three, four or five numbers will also win you a cash prize. Similar to the game Keno, Quick Draw gives you the opportunity to win $100,000. Choose how many numbers you want to play and select those individual numbers on your slip. You can choose up to ten numbers in Quick Draw. You can add the Bullseye feature to your game. This doubles the cost of your wager but can see you rewarded with bigger prizes. 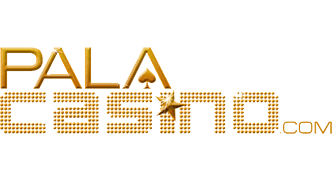 Based on Poker, playing 5 Card Cash comes with a top prize of $5,000. This prize can be doubled if you activate the All In feature. The All In part is progressive. The prize will increase until an All In participant wins. Fast Play is a progressive game, with the top prize dependant on how many people participate. You can win a share of the jackpot with a winning ticket, depending on the amount of cash you’ve staked. So, a $10 ticket will see you win 100% of the jackpot. The percentage decreases down to 10% for a $1 ticket. If you want to learn the latest NJ Lottery news on the go, download the dedicated app. Available from the App Store and Google Play, you will receive notifications of the latest draws and bonus opportunities. At the moment, you’re unable to purchase New Jersey Lottery tickets online. It’s possible this can change in the near future. Online sports and casino gambling regulations have already been passed in the state, so it’s likely that lottery games will become legal to play online soon. For now, though, you will need to visit high street retailers to purchase any New Jersey Lottery ticket. A huge number of NJ retailers sell tickets for every lottery game, so you shouldn’t find it too difficult to join in. 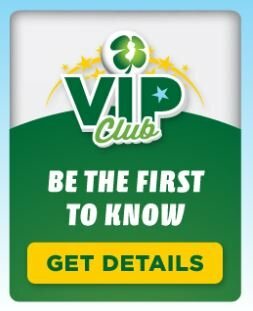 VIP members get the opportunity to enter Second Chance bonus draws. Hit the Second Chance tab on the New Jersey Lottery page to see what’s new. And hey, if you're looking for nearby lotto action, check out the Pennsylvania Lottery.